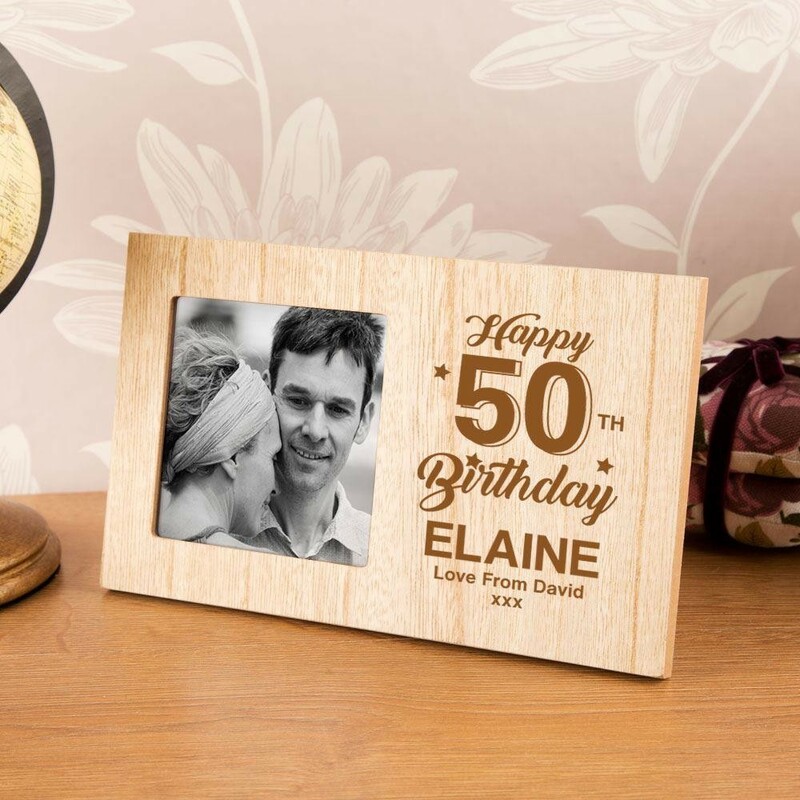 A brilliant personalised gift for someone on their 50th Birthday. It is sure to make them smile whenever they see it! They will be proud to display it for everyone to see. 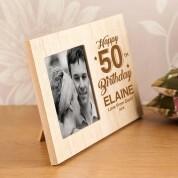 Our wooden frame is laser engraved in house. 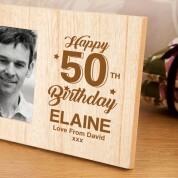 It reads “Happy 50th Birthday” followed by the recipient's name. There is even space for a short personal message of your choice, making it truly unique. The bold design is sure to stand out for miles and the recipient wont own anything quite like it. The square window is perfect for displaying an Instagram photo! Our professionals work in house to carefully engrave onto the wood for unique results every time.